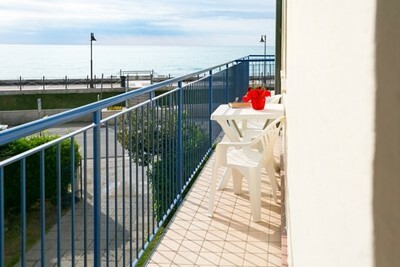 Residence facing the sea only 50 mt from the beach and 50 mt from the historical centre. One-room Apartament with sea-view, car park, air conditioning and reserved umbrella on th..
New Residence near the beach (only 50 Mt) and near the historical center (100 Mt) built in 2008. They have modern comforts: lift, air conditioning, Tv Sat, phon, microwave, car p..
Sea front building with new and modern apartaments, 20 mt from the beach. Panoramic swimming pool on the 6th floor Three-room apartament with sea-view on the 5th floor with TV sa.. 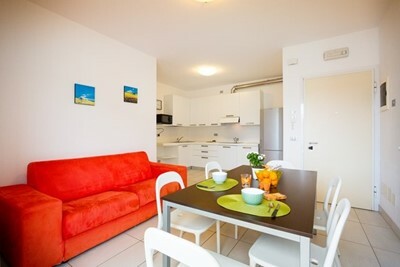 The field of activity of the touristic agency ABITA is the apartments rental and real state sales, offering to its customers a fully professional service and assistance. Furthermore the agency is involved in a wider project, and due to this it has the possibility to offer to its clients a full range of additional services: property management through the society “Delta Amministrazioni S.n.c.”, technical advising through the society “Studio Abita”, interior design and supply of materials and furnishing through the society “Abita S.r.l.”. We await you in Via Pretoriana nr. 15 in Caorle, and are sure we are able to satisfy all your expectations.